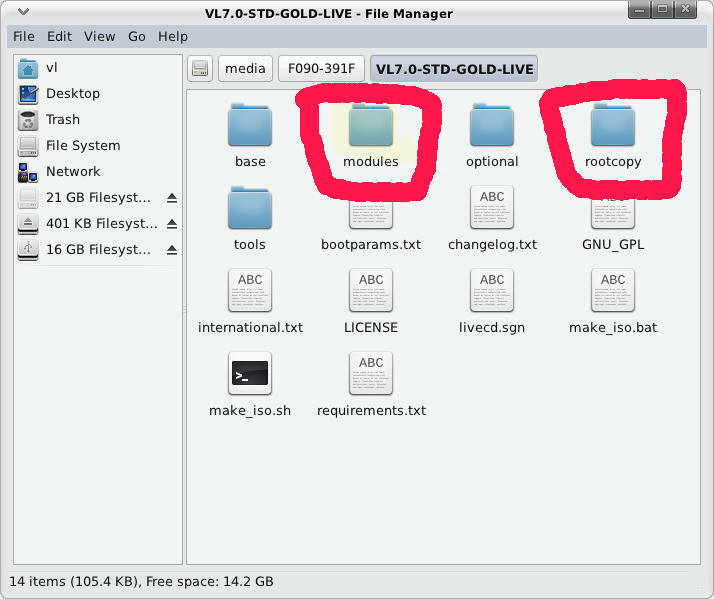 How to create VL7 Live USB with persistence, so can keep changes. or VL7 does not offer this feature ? I dont know many thinks about vl... but i think you should search better on the net, and if you dont find something , use ubuntu linux which have a pre-instaled program. Saving and restoring changes of a Live system is not a built-in feature of VL, sorry. on a USB stick. It's great. Thought I would bring this old thread up to date as others may have the desire. Linux Mint has been a great usb with persist for several versions but you need at least a gig of ram to run it. I run it on a netbook with 1 gig. Puppy is still the swiss army knife of linux distros and has its own means of installing to usb or flash drives and can run in ram and store a persisting file on your hard drive. it runs on as little as 128 megs although I am running it on 192. It's always been my conviction that in SLAX, the "changes" folder is where persistence occurs. What's more, if automatic persistence isn't possible, I'd expect that you should be able to make persistent changes directly by adding items to the "rootcopy" and "modules" folders. Am I barking up the wrong tree here? For about two years, I had the fun of releasing my own live CD, a customized version of Slax, and it looks like I'm seeing all the familiar customization tools that I used during that time. So, if nothing else, I'd expect that you should be able to make persistent changes by editing the files on the drive. I've got to think that this is already covered on this forum somewhere, but if not, and if this turns out to useful, I'll go into more detail later. You are correct, the live scripts use slax technology. It is possible to implement persistence, it is Linux after all. However, since VL is primarily a traditional installable distro, a "live with persistence" version was not pursued. As always, it is a question about time and resources. However, I am sure there are several users who are interested in this, and would appreciate you sharing your knowledge. Who knows, it might become a supported feature in the future.